A traditional 2-door wardrobe with a full mirror in the left door. The outward design is consciously given a grungy look to catch up with the modern standards. This wardrobe can be used in child bedroom or in a guest bedroom. 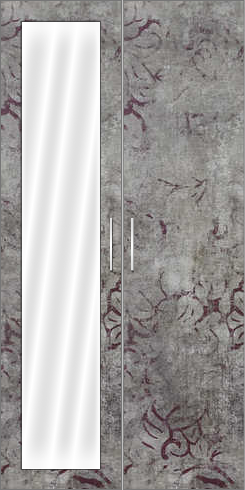 Though this may not be sufficient for a master bedroom, we can complement the existing wardrobe wardrobes with this one. Interior: This has removable full shelves with 2-internal drawers. The shelves can be removed to store bigger objects such as travel bags or suitcases.